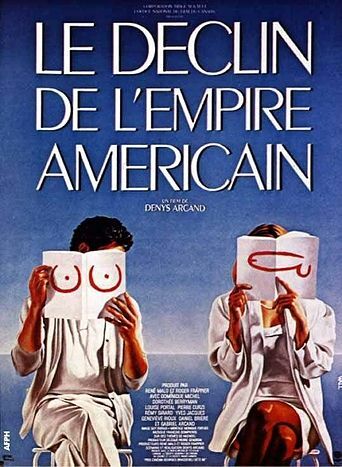 Musings of an Aging Boomer: Le Declin de l'empire americain? Le Declin de l'empire americain? Netanyahu as Prime Minister seems to me to be the worst thing that has happened to Israel and I follow the Jerusalem Post (JP) as a fairly reliable guide to the growth under his watch of paranoia and ethno-cultural chauvinism within that country. This JP article, guest written by a history academic based outside Israel, is unusually outward focused in its views of the EU, (a grouping not on Mr. Netanhayu's friendship list these days): The European Union now does sometimes resemble a replay of Weimar’s combination of institutional perfection with violent and nationalist forces aimed at tearing down the "system." The slowly mounting civil disorder in Europe he refers to, created by open borders facing the breakdown of what passed for social order in the Arab world, does have some worrisome aspects that begin to resemble in some ways the breakdown of the social consensus on law and order that occurred a century ago. Although the Iraq War and other Western and now Russian armed interference in the Arab polity cannot yet be said to be as profoundly dislocating to world order as the dismemberment of Empires after WWI, the huge harvest of distraught and often dysfunctional incomers that advanced societies are reaping is becoming highly disturbing in is implications. It is worth reminding ourselves that the Roman Empire fell not because of enmity from without, but because those tribesmen just beyond its borders, impoverished and hard pressed from the East by hostile invaders, wanting the benefits of being inside the Empire’s borders surged in at a time when Roman social order was breaking down! P.S. 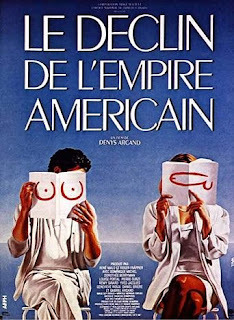 Le Déclin de l'empire américain was a 1986 Canadian comedy-drama film directed by Denys Arcand. Ominously it was followed by two sequels called The Barbarian Invasions in 2003 and Days of Darkness in 2007!